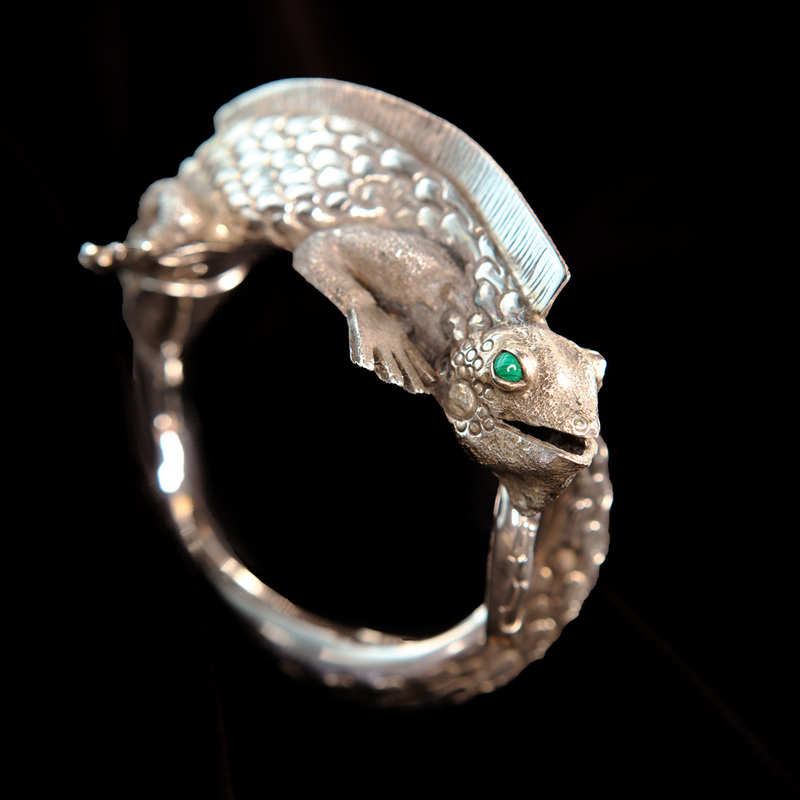 This sterling silver iguana lizard bracelet has amazing detail. 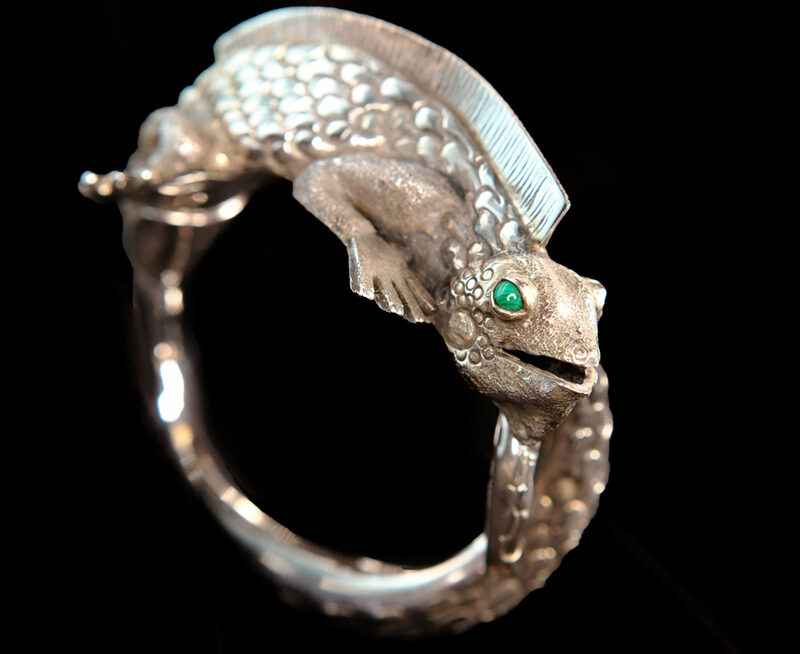 It features green malachite stone eyes. 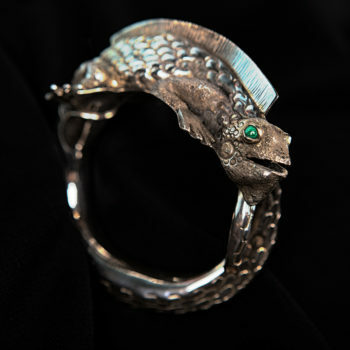 This sterling silver iguana lizard bracelet features green malachite stone eyes. 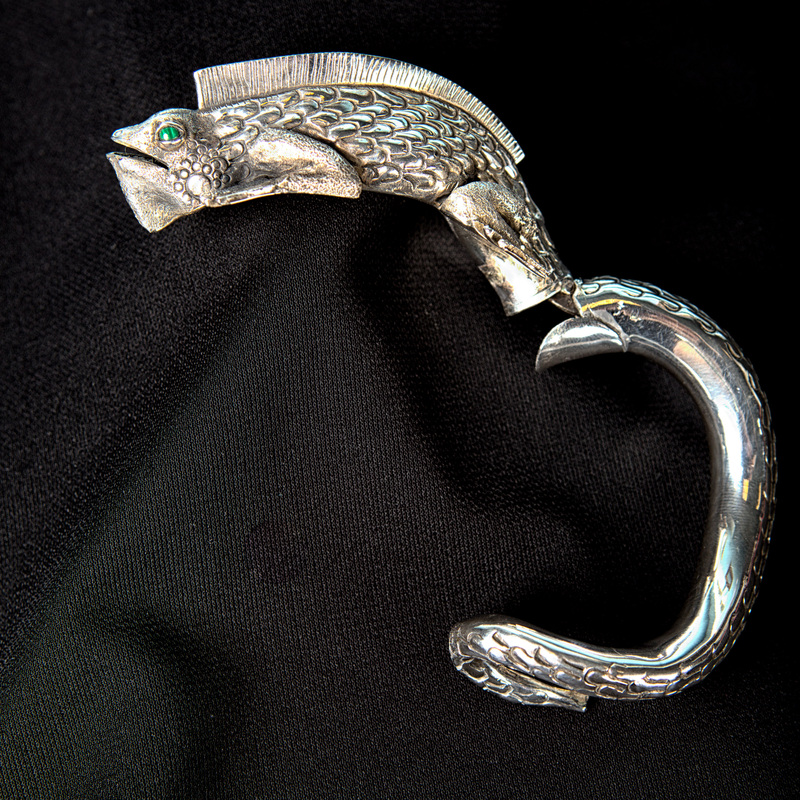 The sterling silver has been carefully detailed to show individual scales and lines on the iguana’s body, face, and tail. 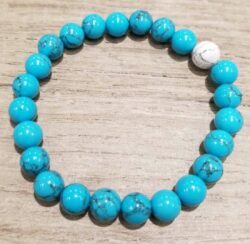 The bracelet is hinged so that it opens easily to fit on most wrists. 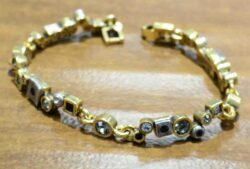 The center opening of the bracelet is 2.75” wide. 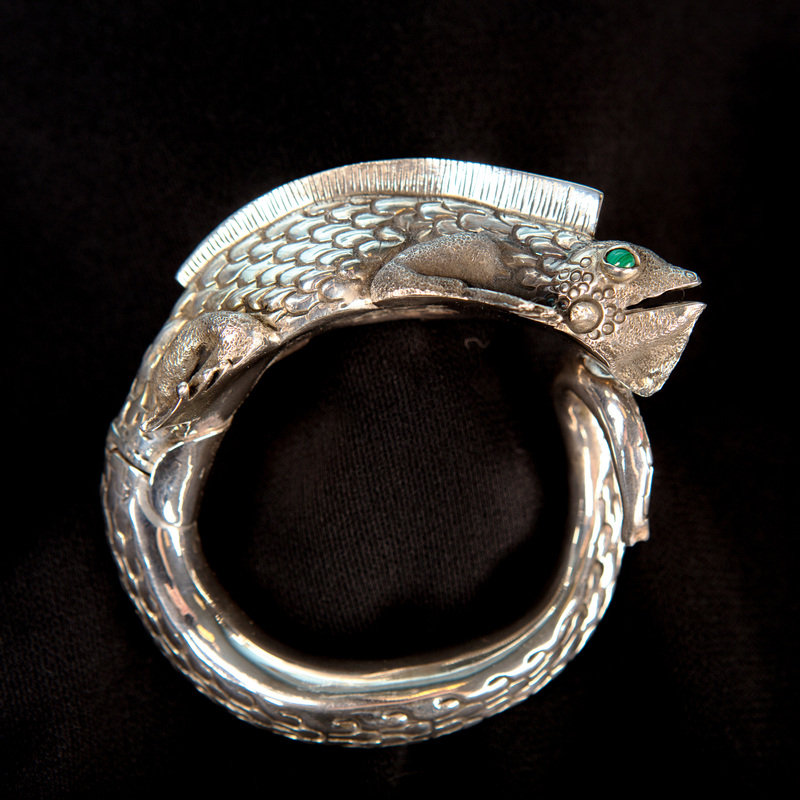 The bracelet itself measures approximately 3.75” wide by 3.75” tall. 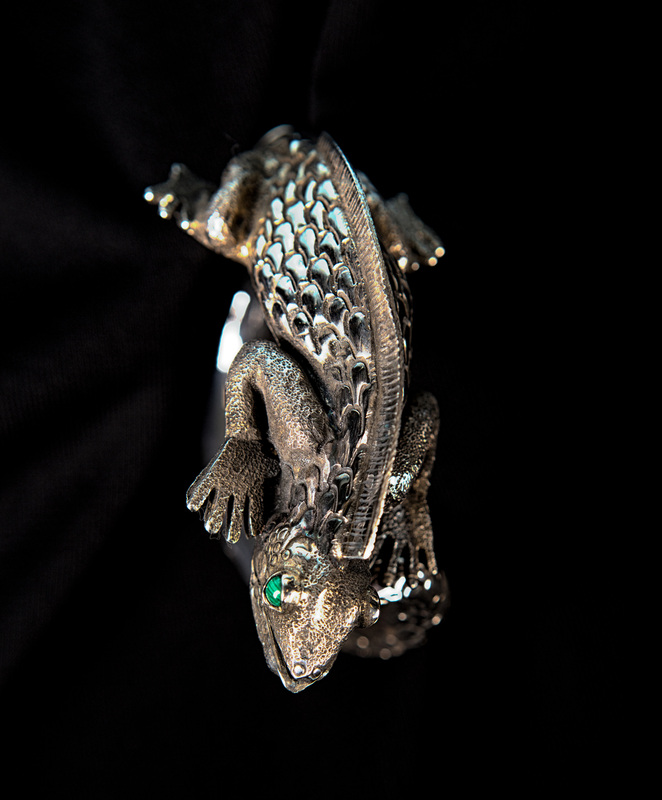 When worn the lizard sticks out from the wrist approximately 1” for a three dimensional look. This bracelet is handmade in Taxco, Mexico. 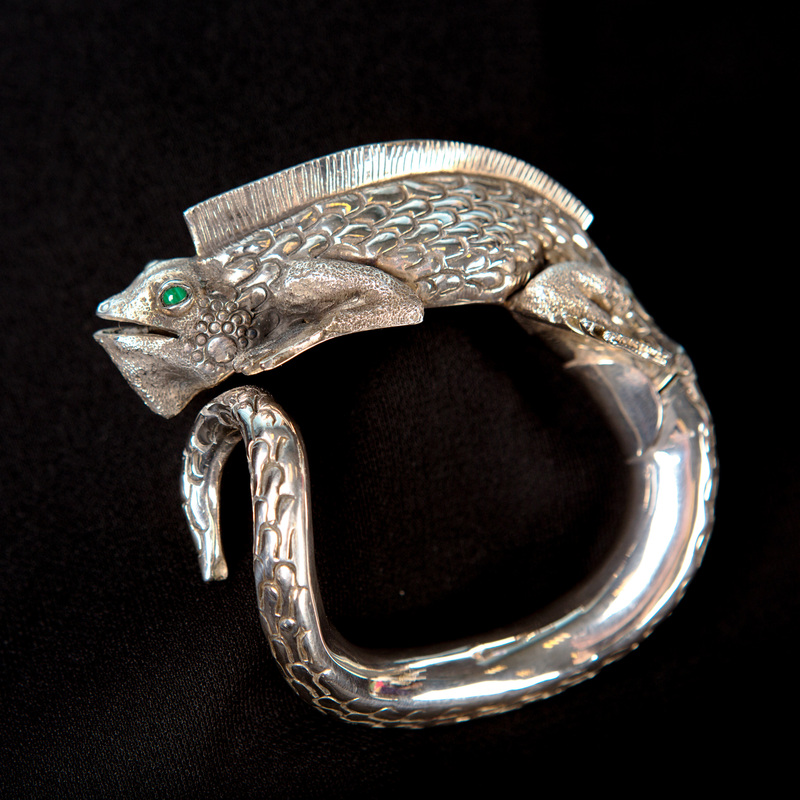 Taxco is well known for the beautiful silverwork made there, and this piece is stamped on the inside both “taxco” and “mexico” so you can be certain it was made there. 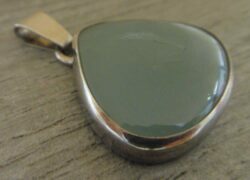 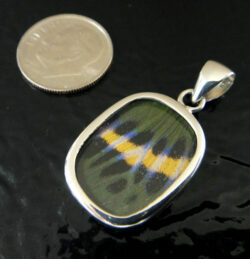 The piece is also stamped “950” so you can be sure it is sterling silver.